Air Charter Expo, (ACE16), is a new name on the aviation trade show calendar in 2016, and yet it already boasts a long and illustrious history. European Business Air News organised its first specialist show and conference for business aviation way back in 1991, as the European Business Air Show at London Stansted airport, and went on to stage annual events all around Europe. In 2001 this evolved into BGAD, a one day event focussed on low-costs for exhibitors and an easy atmosphere for networking, hosted by Cambridge airport. This event grew each year until its most successful edition at London Biggin Hill airport in September 2015, when the charter industry took centre stage. Now the show has evolved once more to become the Air Charter Expo, with more exhibitors and aircraft on display than ever before. ACE16 is the showcase where owners and operators of business jets, turboprops and helicopters can meet with suppliers of all kinds of products and services – from fuel and flight planning to performance enhancing modifications. 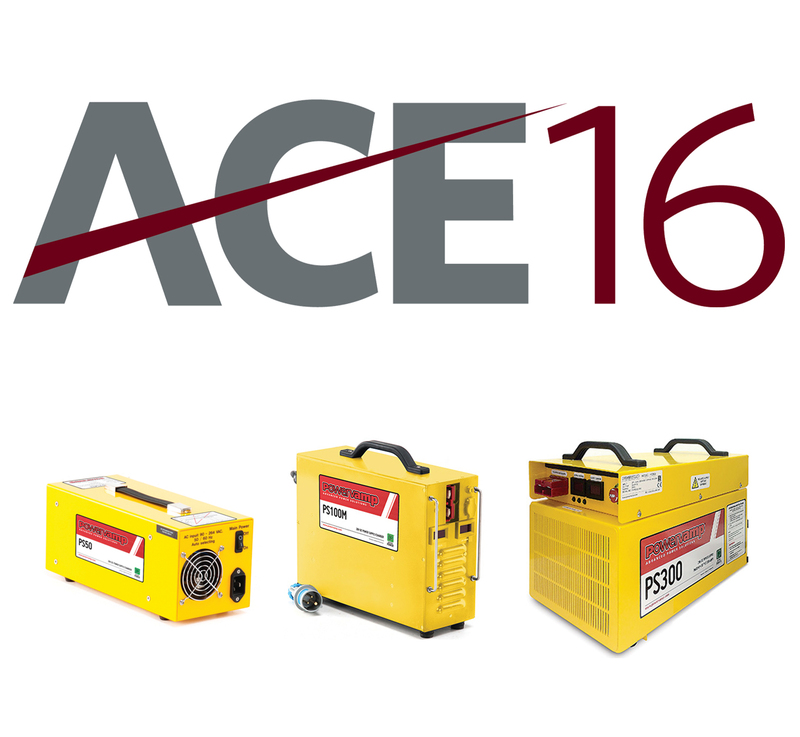 Powervamp is pleased to announce it has been appointed the main power provider for the three static aircraft displays at this weeks ACE16. The exhibition team will supply a number of their in-house designed and manufactured 28V DC power supplies, (PS50, PS100 and PS300 models), to ensure aircraft manufacturers such as Bombardier, Bell, Lear, Cessna and Airbus are able to have power for the show duration. Its critical that aviation suites and internal lighting, amongst many other power reliant devices are kept online to maximise the aircrafts impact during its attendance. As with all exhibitions, or airshows, having the power drop out is simply not an option – however, experience supplying power to the Paris International Airshow and Farnborough Airshow over a number of years has given the team a wealth of experience to deal with any situation. Not only will Powervamp staff be on site to set-up the 21+ fixed wing and rotary aircraft, and remain on hand to ensure the smooth running of the power through the exhibition – but the sales team will also be manning an exhibition stand answering technical questions on the products on display. Once again Powervamp shows its many talents as power provider, manufacturer, exhibition support and technical sales at this well proven exhibition.